North Kohala is a sparsely populated, wildly beautiful region, making it an ideal place for OFF-ROAD EXPLORATION. Behind the wheel of an all-terrain vehicle (with a guide who knows the area’s terrain, history and culture), be prepared for a ride into parts unknown. An ATV ride is more than just a rough-and-tumble ride through a gorgeous landscape; it’s a remarkable opportunity to learn from experts about a place barely touched by time. ATV OUTFITTERS HAWAII is owned by North Kohala residents who ride along with you: on ATVs specifically designed for rugged, off-road travel. 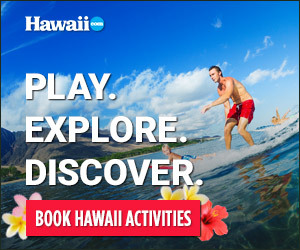 Experience the real Hawai‘i on an unforgettable ride over private ranchlands, past spectacular 200-foot sea cliffs and through lush, tropical rainforests. Knowledgeable Native Hawaiian guides lead you to a hidden waterfall and secluded beach that King Kamehameha once favored. Offering DOUBLE-SEAT AND SIDE-BY-SIDE ATVS, this is an adventure for the entire family. Or set off on an unforgettable ride through the fabled “VALLEY OF THE KINGS” with WAIPI‘O RIDETHERIM TOURS. Knowledgeable local guides lead tours that travel along the rim of Waipi‘o Valley: through scented eucalyptus and ginger forests, and over mountainous terrain that once was among the most sacred royal lands in ancient Hawai‘i. A highlight of the journey is a stop at a lava-tube grotto, situated under the famed HI‘ILAWE FALLS, where scenic vistas of WAIPI‘O BEACH—the LONGEST BLACK-SAND BEACH IN THE STATE—and the historic valley floor are visible. The authentic tours are suitable for riders of all ages and abilities.